Sarawak PKR cautions that BN at the federal level may be the biggest obstacle in devolution of powers. PETALING JAYA: Sarawak PKR has called on the state government to be more transparent and accountable in its negotiations with the federal government on having devolution of powers and pushing for Sarawak’s rights and autonomy. Its vice-chairman, See Chee How, lauded Chief Minister Abang Johari Openg for the reshuffle in the state cabinet announced yesterday which saw the appointment of 10 ministers, the maximum number allowed by the Sarawak state constitution, and 18 assistant ministers. He said, however, that the good plan to “re-engineer” the state will not succeed if Sarawak does not have its legislative, fiscal and administrative power and autonomy. “The CM has shown that we are embarking on a new journey, not least our pursuit for the autonomy of Sarawak,” he said in a statement today. The Batu Lintang assemblyman said the introduction of the portfolio of state education minister is to help pursue Sarawak’s bid to have “freedom in education”. “But how much have we achieved in those meetings and discussions for the federal government to devolve this power to Sarawak so that we have the autonomy in this important matter? See cautioned that BN at the federal level may prove to be the biggest obstacle in this matter. “Putrajaya has all this while considered Sarawak to be submissive and subservient to it. 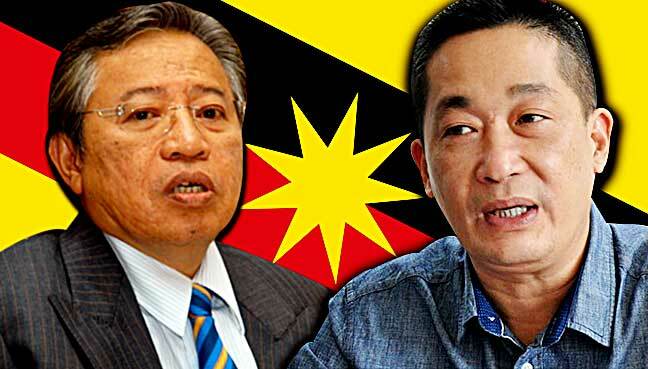 Abang Johari yesterday announced the appointment of a third deputy chief minister, Awang Tengah Ali Hasan of Parti Pesaka Bumiputera Bersatu (PBB), in addition to PBB’s Douglas Uggah Embas and Parti Rakyat Sarawak (PRS) president James Masing. Other major appointments include Abdul Karim Rahman Hamzah as minister of tourism, arts, culture, youth and sports, and Talib Zulpilip as minister in the chief minister’s office under the integrity and ombudsman portfolio. Both are from PBB. See also said the new administration should adopt a new mindset towards opposition parties as the “re-engineering” of the state’s governance will require the support of all Sarawakians. He said the state needs to recognise the opposition’s “positive and constructive roles” in checking and monitoring the functions and performance of the administration. “The mechanisms and process for ‘check and balance’ should also be elevated and enhanced,” he added. See also said the cabinet had “tilted heavier” towards PBB but this was the prerogative of Abang Johari and should bother the other state BN parties more. Abang Johari is PBB president and Sarawak BN chairman. See added that heightened emphasis on oil and gas, energy development, digital economy, international trade and e-commerce development, native land development, urban public transportation and the setting up of the state ombudsman in the cabinet deserve recognition and support. “I am maintaining an open and positive outlook towards the CM’s new administration,” he said.